Boston, MA -- A unique, all-encompassing experience for music lovers of all ages – set to a rollicking, first-rate soundtrack – the 32nd Joe Val Bluegrass Festival, presented by the Boston Bluegrass Union (BBU), takes place over Presidents’ Day Weekend, February 17-19, 2017, at the Sheraton Framingham Hotel, Framingham, MA. Year after year, this nationally acclaimed celebration of bluegrass music continues to win new converts while delighting seasoned fans. Boston, MA -- The Boston Bluegrass Union writes, "We're entering the homestretch ahead of next week's 31st Joe Val Bluegrass Festival, February 12 - 14, at the Sheraton Framingham. Everyone at the BBU and the Sheraton are making every effort to ensure you have a wonderful weekend. It looks to be a mighty fine time, with great lineups on the Main and Showcase stages, Master Classes, Workshops, Kids Academy, Vendors and much more." Join the Boston Bluegrass Union and celebrate the legacy of the late Joe Val with three big days of indoor bluegrass at the Sheraton Framingham Hotel. The BBU has a great lineup of national and regional talent, expanded workshops, Kid’s Academy, music vendors, and round-the-clock jamming. Our 2006 event won the coveted “Event of the Year” award from the International Bluegrass Music Association. Snow Doesn't Stop the Joe Val Bluegrass Festival! While the Boston area has been blessed with extra white stuff this winter, we are ready to welcome you to the festival. As always, Joe Val will have great music, wonderful workshops and plenty of pickin', but we also offer the new Sunday night Dance Party! You won't want to miss this fun addition to the festival. Take a break from the shoveling and come join us at the Sheraton Framingham this coming weekend for the 30th Joe Val Bluegrass Festival. It promises to be a fantastic weekend. Something for everyone. 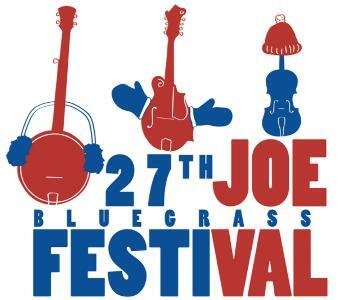 Read more about Snow Doesn't Stop the Joe Val Bluegrass Festival! Boston, MA -- Join the Boston Bluegrass Union and celebrate the legacy of the late Joe Val with three big days of indoor bluegrass at the Sheraton Framingham Hotel. The BBU has a great lineup of national and regional talent, expanded workshops, Kid’s Academy, music vendors, and round-the-clock jamming. Our 2006 event won the coveted “Event of the Year” award from the International Bluegrass Music Association. 2015 is the 30th Anniversary of this wonderful event. Join the Boston Bluegrass Union as they celebrate the legacy of the late Joe Val with three big days of indoor bluegrass at the Sheraton Framingham Hotel. They have a great lineup of national and regional talent, expanded workshops, Kid’s Academy, music vendors, and round-the-clock jamming. Their 2006 event won the coveted “Event of the Year” award from the International Bluegrass Music Association. 2015 is the 30th Anniversary of this wonderful event. Boston, MA -- A unique, all-encompassing experience for music lovers of all ages – set to a rollicking, first-rate soundtrack – New England’s premier roots music festival, the 30th Joe Val Bluegrass Festival, presented by the Boston Bluegrass Union (BBU), will take place over Presidents’ Day Weekend, February 13-15, 2015, at the Sheraton Framingham Hotel, Framingham, MA. Year after year, this nationally acclaimed celebration of bluegrass music continues to win new converts while delighting seasoned veterans. Boston, MA -- Bluegrass superstars Blue Highway kick off their 20th year as a working band with a brand-new album, The Game, and a headlining slot at the 29th annual Joe Val Bluegrass Festival, New England’s premier wintertime roots music festival. Michigan based national touring bluegrass music band Detour is set for a highly anticipated performance at the Joe Val Bluegrass on February 16, 2014. The Boston Bluegrass Union will celebrate the legacy of the late Joe Val with three big days (Feb 14-16) of indoor bluegrass at the Sheraton Framingham Hotel. The event includes a great lineup of national and regional talent, expanded workshops, Kid’s Academy, music vendors, and round-the-clock jamming. More information, including ticket prices can be found at bbu.org/events/joe-val-festival. Boston, MA -- In 1962, New England musicians Jim Rooney (then a graduate student at Harvard University) and Bill Keith (stationed at the Boston Army Base) began performing regularly at Club 47 – now Passim. Rooney was the congenial frontman and vocalist, while Keith was a dedicated student of Earl Scruggs's banjo style. Their live performances, coupled with the release of their classic 1963 album Livin' on the Mountain, not only galvanized the nascent New England bluegrass scene – it also revolutionized bluegrass on an international scale, as word spread rapidly of Keith's remarkable new melodic banjo technique. Keith demonstrated this breakthrough – which enabled banjo players to play fiddle tunes note-fornote and subsequently inspired such groundbreaking pioneers as Tony Trischka and Béla Fleck – more widely the following year, when he hit the road as banjoist with Bill Monroe, the father of bluegrass music. Boston, MA -- In 1962, New England musicians Jim Rooney (then a graduate student at Harvard University) and Bill Keith (stationed at the Boston Army Base) began performing regularly at Club 47 - now Passim. Rooney was the congenial frontman and vocalist, while Keith was a dedicated student of Earl Scruggs's banjo style. Their live performances, coupled with the release of their classic 1963 album Livin' on the Mountain, not only galvanized the nascent New England bluegrass scene - it also revolutionized bluegrass on an international scale, as word spread rapidly of Keith's remarkable new melodic banjo technique. Keith demonstrated this breakthrough - which enabled banjo players to play fiddle tunes note-for-note and subsequently inspired such groundbreaking pioneers as Tony Trischka and Béla Fleck - more widely the following year, when he hit the road as featured banjoist with Bill Monroe, the father of bluegrass music. The Boston Bluegrass Union which holds the annual Joe Val Bluegrass Festival is holding a contest to design the artwork for the T-Shirts for the 27 event to be held February 17-19, 2012. The winner receives $150, a free weekend ticket to the festival, festival t-shirt with graphic, and recognition in the program book and elsewhere. Deadline is October 31, 2011.